Born: 5th June 1895, 46, Falcon Road, Ponders End, Middlesex. Baptism: 21st June 1895, Enfield, Middlesex – father: James Gibling – an Assistant Storekeeper at an Electric Light Works. 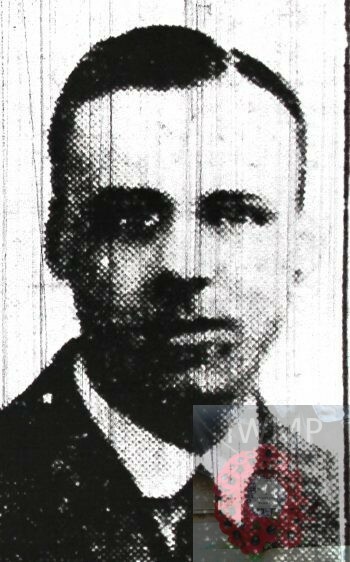 Relatives Notified & Address: Son of Rosa Gibling, of 114, Murray Road, Ipswich & the late James Gibling. 1901 46, Falcon Road, Ponders End, Middlesex. Thoeophilius was 5 years old and living with his parents & brothers. James Gibling, 34, Electrical Storekeeper, born Bradfield, Essex. Rosa Gibling (nee Gammer), 31, born Manningtree, Essex. Morley Theodore Gibling, 2, born Ponders End, Middlesex. Philip Gordon Gibling, 7 months, born Ponders End – died 1901. 1911 115, Felixstowe Road, Ipswich. Theophilius was 15 years old, a Merchant’s Clerk. He was living with his widowed mother & maternal aunt. Alice Gammer, 45, living on private means, born Manningtree. 1 Pings/Trackbacks for "THEOPHILUS DIGBY GIBLING"